An American menu ranges from slow-roasted pork belly to lobster Benedict at this Santa Monica restaurant. 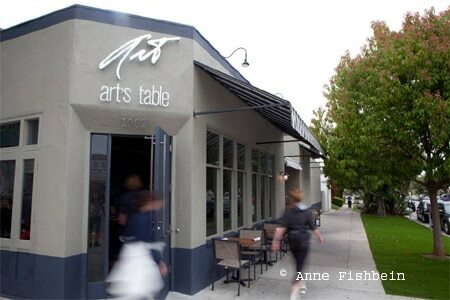 : Art's Table has opened in Santa Monica on Montana Avenue. Chef Mark Mittleman's (The Polo Lounge) American menu features a slow-roasted pork belly sandwich, mini Sloppy Joe with smoked cheddar on a challah bun, albacore quinoa salad with pistachios, and local sea bass with gremolata. Brunch spotlights a lobster Benedict with onion confit, black garlic, arugula, poached eggs and béarnaise.